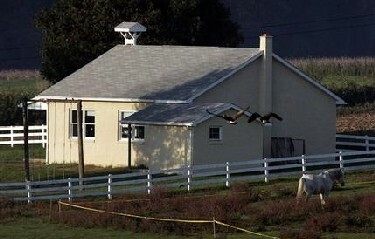 On October 2, 2006, a disturbed gunman entered a peaceful one-room Amish schoolhouse and took ten girls hostage. After a brief standoff with the police, the man opened fire on his captives, killing five of them, severely wounding the survivors, and eventually taking his own life. While this isn’t the latest senseless assault of this kind, the response of the Amish community toward the attacker continues to be noteworthy. 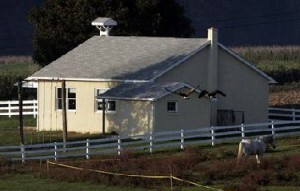 Only hours after the incident, the grandfather of one of the victims cautioned relatives “not to think evil of this man.” In the days that followed, community members visited the gunman’s widow, parents & in-laws to offer comfort in their time of grief, and set up a charitable fund to assist the family and children of the shooter. They attended his funeral and invited his wife to attend the services of a victim. A neighboring community member explained the prevailing attitude. He said, “I don’t think there’s anybody here that wants to do anything but forgive and not only reach out to those who have suffered a loss in that way, but to reach out to the family of the man who committed these acts.” Later, the widow of the perpetrator wrote a letter to the Amish community publicly thanking them for their generosity, love and forgiveness. She pointed to their loving response as a key element that brought about healing in her heart and life after such tragic events. The response of the Amish community to such an unthinkable attack spotlights the essence of Christian love and forgiveness. Memories can be wonderful blessings that help us savor the best moments of life, but they can also be detrimental to our well-being when we hang onto offenses that need to be released through forgiveness. But that necessary step in dealing with hurt caused by others doesn’t come naturally. Our normal tendency is to do exactly the opposite of what 1 Corinthians 13:5 instructs us to do. Most often, we gather together mental lists of others’ wrongdoings and replay conversations again and again, reminding ourselves as to why we have a “right” to be angry. We use those arguments to justify our desire to see our offenders punished and to be held accountable for their actions. But Paul says, those who know Jesus are to “keep no record of wrongs.” The operative word in that command is “no.” He doesn’t list any exceptions or clauses. There isn’t an asterisk or a footnote that details exemptions or oversights. It doesn’t even say it’s ok to wait until the offender says “I’m sorry.” His words are clear… we don’t ever have any right to withhold forgiveness. Now I know you’re already thinking, “Yeah, I read that Amish story and I hear what you are saying, but you don’t know my situation. You don’t know what happened when I was a child… You don’t know what happened to my relative… You don’t know what my spouse did… You haven’t met my co-worker who continues to hurt me every day… If you knew what happened in my case, you’d realize there’s just no way I can forgive!” And you’re right. Rationally speaking, you could probably lay out a great case for why unforgiveness is justifiable in your case. But that’s why we can’t rely on feelings to be the arbitrator of mercy. The capacity to truly ‘love mercy’ is born from the knowledge that we’ve first received pardon from God Himself. Once we understand all that we’ve been forgiven, our grateful response should be to pass that mercy on to others, remembering that no matter what someone has done to us, it pales in comparison to what has been forgiven of us by God. It’s in the shadow of the cross that we should voluntarily release our “right” to be unforgiving. It’s because we love His mercy toward us, that we choose to extend the same level of mercy to others, with no strings attached. Karen, another timely message. I always try to offer forgiveness, but trouble is forgetting. But after reading this week’s passage, I admit to myself that by not forgetting, I’m failing to truly forgive. It’s hard to recognize these personal flaws, but you can’t begin to heal and change until you see what is broken.